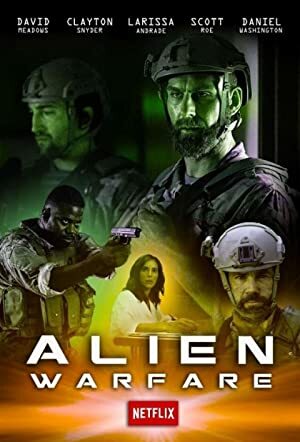 Alien Warfare (2019) – What's New on Netflix Canada Today! A team of Navy Seals investigates a mysterious science outpost only to have to combat a squad of formidable alien soldiers. The U.S. Navy Seal team tackles a top-secret mission at a research center where scientists have mysteriously disappeared and another life form awaits.